Intentions: So I'm the kind of person who holds onto something for a long time. As a car guy I believe in upgrading rather than replacing a vehicle, performing my own maintenance, etc. I take that same approach with most items and consider this computer an investment just like you would when purchasing a vehicle. That being said I probably won't be buying all the newest and fastest things out there or replacing parts, but I don't want the computer to be a slouch. This is my "budget" enthusiast build and almost every part was on sale when I purchased it, so without further ado, the build details. All prices include shipping and taxes when applicable. I said I bought most parts on sale, that wasn't necessarily to save money but to get better quality parts while maintaining the goal budget limit of $1800. 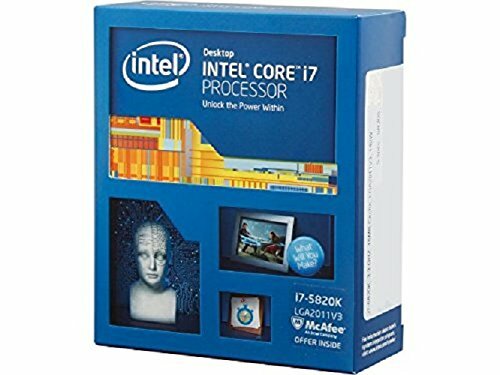 CPU: 5820k is a no brainer, I had a friend pick it up from a Micro Center and send it to me. I haven't overclocked it yet (I can barely get it to sweat) but I know that it overclocks well and will look into this more with Win10. 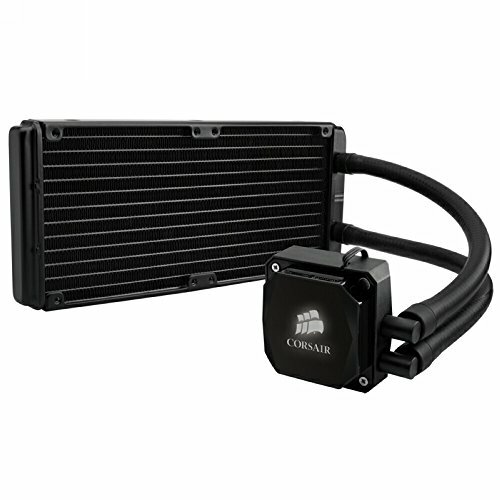 CPU Cooler: The H100i is a solid performer and I ordered it prior to the GT line's announcement, it was one of the highest selling AIO's and had good reviews. MoBo: This was the last part I purchased, I was determined to purchase an Asus board. Originally I wanted the Deluxe but it had poor reviews for its premium cost, so I decided on the Pro board. When I was ready to purchase the board Asus had announced they would integrate USB 3.1 so I decided to wait for the U3.1 Pro board, which took way longer than scheduled to come into stock. While waiting I discovered the announcement of the Sabertooth X99 board, I knew if it were priced properly that I would purchase it. At $330 @ release I was mildly surprised and U3.1 Pro hadn't yet been stocked so the Sabertooth was a no-brainer for me. I like the aesthetic and the extra cooling characteristics of the board in addition to its 5 year warranty. This is the only part I paid full price for since it was brand new and the last part needed for the build. P.S. The board came with white/black Sata connectors so that was a nice bonus. 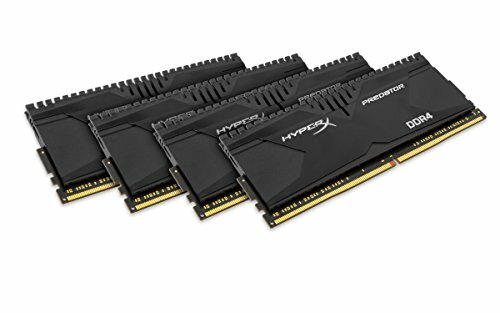 Memory: DDR4 memory didn't really become affordable until Spring 2015, when I snagged this CAS 12 2400mhz ram, originally $250+ for a mere $153 shipped. I opted for the lower clock speed version because of the lower CAS, these dimms are good overclockers as well due to their enormous heat spreader. Storage: Self explanatory choice here on the SSD, Samsung is one of the best quality SSD manufacturers and I wanted something I could rely on, enter the 850 Evo, at the time of purchase cost over $200. The SSHD may have been a "fire from the hip" choice but I've had good experiences with my 2tb SSHD used for my Xbone and wanted a large drive to store all my steam games and media. 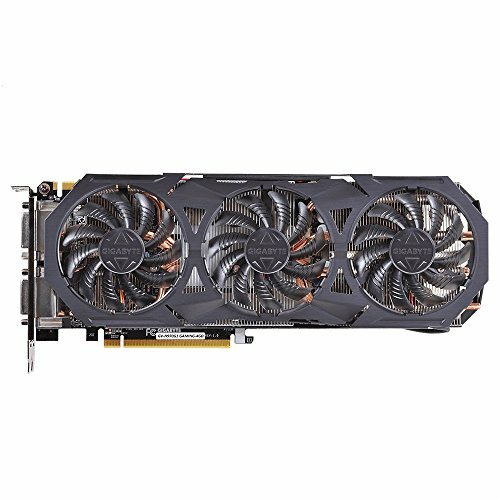 GFX card: I decided early on after release that the gtx970 was the best choice for me, it has a good value at retail and with the rebate was a good overall price. I eyeballed the Windforce card for a long time so when it went on sale I pulled the trigger. Case: This case may not be the most practical case out there but it has tons of cooling and plenty of space for running wires, I also like the white aesthetic. Note: I'm coming from an HP Pavilion Dv6 laptop as a daily driver. Until I temporarily installed the SSD into the laptop it would overheat like a pig during summer time, I couldn't even watch 15 minutes of youtube without a thermal shutdown. I wanted nothing to do with heat issues and that was the biggest reason I got this case. 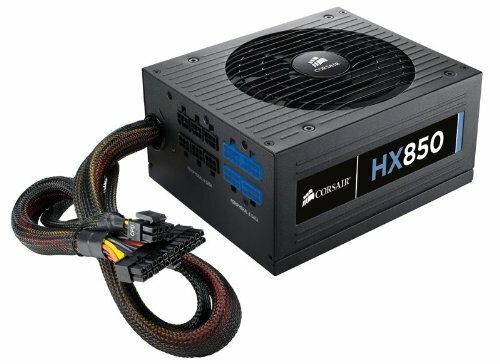 PSU: No frills semi-modular (oops), HX850. A solid yet generally overpriced unit, the first part I purchased at a total of $35 off retail. I admittedly didn't realize that it wasn't fully modular when I purchased it but that's no big deal breaker for me. It has plenty of headroom to support future upgrades. I had a slight issue with the DIMMs resting against the H100i in this case, this was a combination issue caused by me using 2 200mm fans on the top of the case, the included case brackets leaving ~15mm of space between the 200mm fans and the radiator, and because of the really tall heat spreaders on the DIMMs. The fitment was so tight that I had to remove a single screw from one of the corsair fans (one from each if I put 8 DIMMs in) attached to the radiator to prevent too much pressure being transferred to the DIMMs and board, so now the spreaders touch the fans but are not being uncomfortably pressured. I said I wanted the case to keep things cool, well I wasn't a fan of the 7 HDD trays blocking the front 140mm fan or side 120mm's. To work around this I moved a single 2 bay cage up to the 5.25" bays (take up 3 slots). This promotes air movement and basically allows hotswap with the proper BIOS settings. The drives are situated behind the bay covers which are mesh and easily removed. Overall this kept things clean looking and I still have 2 bays above the cage to add a card reader and rom drive if I decide I want an internal one. I know preventing dust is impossible but I did make an effort to add additional filtration for all of my intakes and open vents (aside from 5.25" bay covers and exhaust fans). I used a combination of black non-woven abrasive pads and tesa tape... These were sandwiched between the chassis and mesh covers and had the visual side affect of not showing the fan cutouts through the mesh inserts. P.S. I didn't realize that the back panel was off when I took the inside pictures, so I just added one with it on and comp running. I know I can change the color of the CPU cooler LED, I think I can on the gfx card as well to match, but you can't see either with the side panel on so it doesn't really bother me that they are different. Thanks! X99 was my only option, didn't want to wait for skylake and I didn't feel like I would be making many sacrifices. 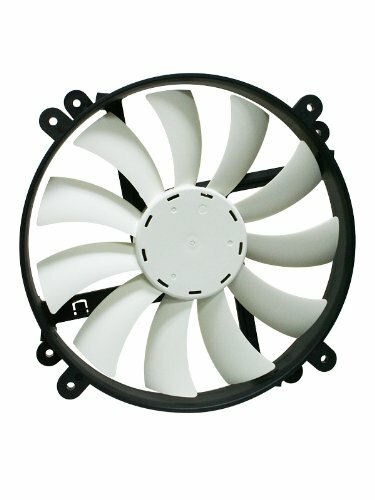 How is the H100i mounted? Yeah. That is the strangest push pull config I've ever seen. 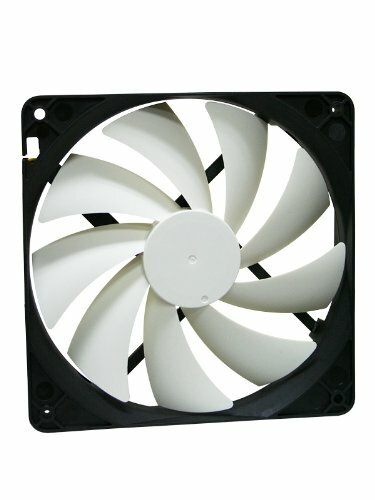 Well I mean the H100i just looks like it's floating below the 2 200mm fans, I have no idea what it could be mounted by. I added a picture to show this a little bit better (currently #4). The case came with a set of brackets/spacers for a 240mm radiator, the brackets screw into the chassis in between the the 200mm fans and into the inner pairs of holes (for the pull fans) on the top of the radiator. The holes for the brackets are offset from the case's centerline which provides more space for the MoBo and memory sticks. Very fun and cool for a "Grown Up" build. Ah, whatever. Awesome build though! The board looks amazing. Thanks, and I do really like the board, and would suggest it over all other Asus X99 boards excluding the E variant and maybe ROG. Really? That makes me excited. I have mine sitting over in the corner of my room with a 5820k and some RAM, but I'm stuck waiting for a NH-D15 to arrive from Newegg so I can use it. I have a AIO on my rig now, but I wanna do a single seal with the thermal paste on the 5820k, rather than have to reapply it twice. So I can wait, it'll probably arrive in a few hours actually. I am hyped regardless. Heck yeah. WIth the price hovering around $300 it's the same price as the Pro board, if you don't need wifi you're getting a better product in my opinion with the Sabertooth, 2 more years of warranty, and the Sabertooth has been shown to overclock well due to its greater ability to shed heat. But I hope so. The extreme series is still better for overclocking though, it's more designed for that. This Sabertooth should practically never crash under stable loads though. That's why I bought it. And the warranty. Love the build, I searched builds with your i7-5820K and your came up, however you're using the Sabertooth X99 which was exactly what I wanted to see. Very clean build and nice cable management.